NEWS! HOMANN RELAUNCH. DESIGN-REVOLUTION! die BILDER. NEWS! MARC O'POLO ACCESSORIES: ICONIC INSPIRATION FOR FASHION & LIFESTYLE! NEWS! HOMANN RELAUNCH. DESIGN-REVOLUTION! JETZT IM MARKT! HOMANN RELAUNCH. DAS NEUE HOMANN DESIGN. 360° Marketing Support, Marken-Strategie, Portfolio-Strategie, Consumer Insights & Trends, Naming, Storytelling, Design. Just get in touch for CASES & PROVEN RESULTS! HAPPY to exchange with you about your specific needs! Holistic Design Relaunch for SCHAEBENS SKINCARE, the No.1 German brand for masks & concentrates. A SOFT & SMART EVOLUTION for a more feminine, more premium & fresher look. DIAGNOSIS: clarity, simplicity & impact are key for SCHAEBENS, as well as sovereignty & personality. DIAGNOSIS: for SCHAEBENS, efficient skincare solutions with a strong dermo-expertise background will be the focus. IGNITION: concrete brand & packaging design creation, including impulses for the complementary communication tools. "SCHAEBENS. The Original. The Classic. The Masks-Expert since 20 years. Known, proved, liked. Experienced, confident, competent. Innovative, without following short-lived trends. The Love Brand of the category, unbeaten No. 1. We LOVE Classics!" A relevant refreshment for the packaging design, with a new brand umbrella, an iconization of the typical mask-woman, a new type family, a modernized color system and a new key visual concept. SCHAEBENS furthermore invested a lot in this relaunch: the sachets have a new premium foil, with an easy-opening system and are now all carbon neutral. The trays have a new construction, for an optimal presentation of the products at the POP. THANK YOU SO MUCH to the whole SCHAEBENS TEAM for their trust and the great, fun cooperation! 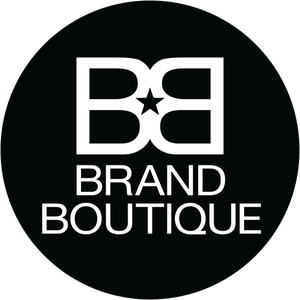 We wish you and your beautiful brand even more success with this new look! OUR MISSION: a holistic marketing concept including positioning, claim, visual universe. Please see the story behind and more details in our BLOG, GREAT DESIGNS, posted 24.02.2018.